Construction has started on the first phase of Pointe-Marie, which developers say will be a $500 million traditional neighborhood development on a 120-acre swath between River Road and Nicholson Drive. The goal is to complete the infrastructure work by April and have some of the first 159 homes completed. Along with the houses, the first phase will contain 36,000 square feet of commercial space and $3.3 million in investments, including parks, a pool and public squares. The idea is to create something like living in a resort, said Rhaoul Guillaume Sr., who has been developing Pointe-Marie for the past five years with his sons. Guillaume, who serves as project manager for GOTECH Consulting Engineers, a Baton Rouge company, has been working with Chris Kent, who was a consultant with Seaside, Florida, one of the premier traditional neighborhood developments. To that end, Guillaume and Kent are working on developing a community around Pointe-Marie, by hosting a range of events so people become aware of the site and associate it with activity. They’ve already hosted a lecture from an LSU professor about the wildlife that lives on the site, just west of L’Auberge casino. Seaside hosted all sorts of free activities in the early days of that development, from cooking demonstrations to screening art movies. The idea was just to bring people to the property, putting it in their mind, Kent said. “These very small, intimate gatherings were absolute keys to how Seaside began,” Kent said. For Kent, this plays into his idea that too many TNDs don’t have amenities or public spaces in their early stages of development. “People have forgotten how new villages came up,” he said. Kent notes that people are more social when they’re on vacation than when they are at home, and more likely to talk to strangers. The goal is to create a setting where people feel comfortable being around each other. 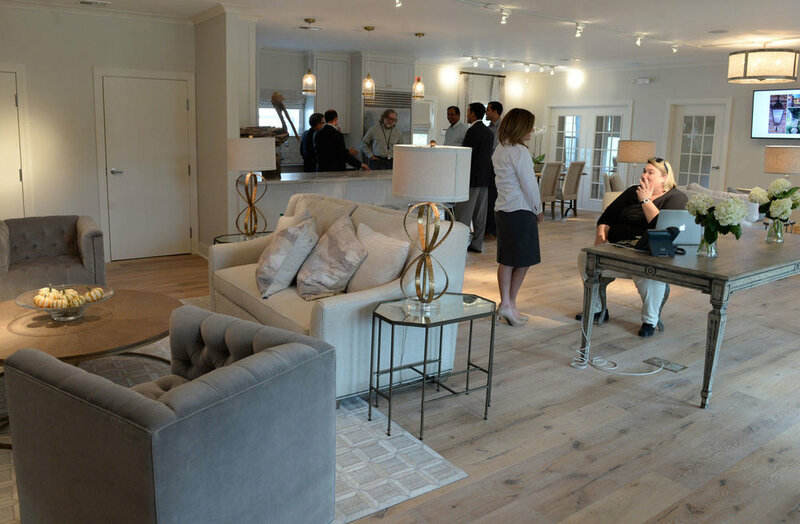 Guillaume connected with Kent through Nick Vlahos, a consultant who has worked on neighborhoods such as Redfish Village, a Florida condominium development. One of Guillaume’s sons, Rhaoul Jr., went to Tulane with Vlahos. Pointe-Marie eventually is expected to have 565 single-family residential units; a village center with 285 multifamily units and 275,000 square feet of retail and commercial office space; a film district where post-production work on movies can be done; a motor coach square with 236 parking spots; and two hotels. Guillaume said he’s looking at a “12- to 14-year” build-out. The motor coach development will be an important part of Pointe-Marie in the future. It was included after Guillaume said studies showed Baton Rouge lacked amenities for the recreational vehicle market. Guillaume and Kent said they’re working “real closely” with the neighboring L’Auberge casino resort. Because of the proximity to Pointe-Marie and the different amenities each property will have, they see a way to tie them together, although nothing formal has been agreed upon. Lots in Pointe-Marie will start at $66,000 and have an average price of $79,900. A soft opening for sales will start later this month. There will be no minimum size for houses, but there will be strict guidelines on how houses will look, so they fit the overall design of the development. The development has a unique agreement with First Guaranty Bank of Hammond, where the bank will provide home loans for 90 percent of the cost, provided the buyer has a credit score of 620 or above. The bank is also providing loans to Pointe-Marie builders. For those buying a home from a builder, the down payment is 5 percent. Vlahos said Pointe-Marie is looking at working with other lenders. The plan is to make living in Pointe-Marie like staying in a resort permanently. There will be concierge services set up, where people can arrange things like grocery deliveries, schedule appointments and airport drop-offs and pick-ups. 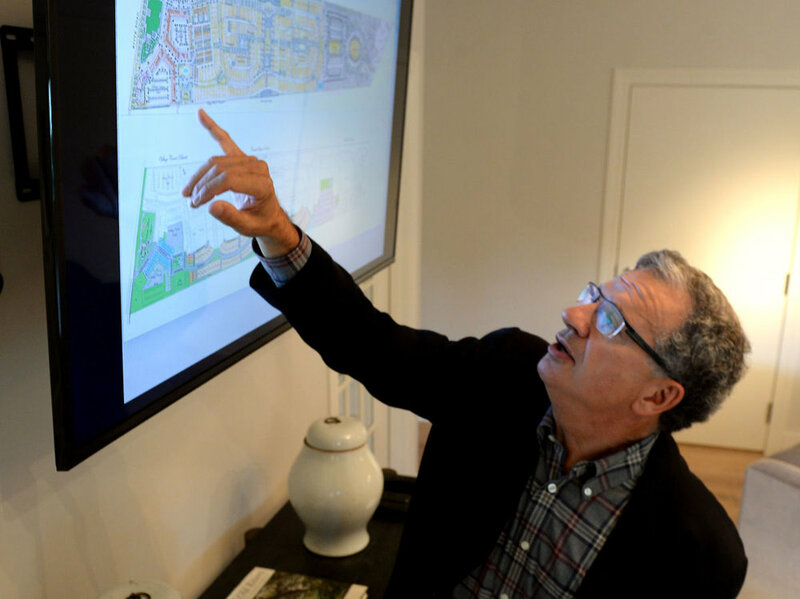 “Everything will occur on the site for people,” Kent said. Posted on December 13, 2016 by Shannon Zeringue. On Tuesday March 19th 2013 GOTECH Inc.was honored by Baton Rouge Business Report as the Company of the Year among those with less than 100 employees. A reception was held at The Crown Plaza that evening where Rolfe McCollister, Business Report’s Publisher, presented Rhaoul A. Guillaume, GOTECH’s President, with an honorary plaque for his achievement. GOTECH Inc. and its employees enjoyed a wonderful evening of dinner, dessert, mingling and speeches by many prominent business leaders in the community. Rhaoul Guillaume took the stage to speak of his commitment to his family, his company, his employees and his humbleness at being presented with this award. He stated, "You've got to have faith in your employees. They know the vision." Mayor Kip Holden then took the stage to honor Rhaoul and GOTECH, Inc. then declared March 19th GOTECH Day in Baton Rouge. For Rhaoul's acceptance speech see the video here. Posted on June 22, 2015 by Shannon Zeringue. Governor Blanco appointed Rhaoul A. Guillaume to the Louisiana Professional Engineering and Land Surveying Board effective October 7, 2004 for a 6 year term. During his term, he served on numerous committees such as finance and application/enforcement review committees, and also served as Board Secretary and Chairman of the Board. Rhaoul A. Guillaume, Sr., P.E., F.ASCE, a 1971 Marquette University Engineering graduate and President of GOTECH, Inc., served as the Inaugural Returning Alumnus Speaker at Marquette University on October 28, 2009. Each year, beginning in 2009, Marquette University will invite a successful, accomplished alumnus to speak in the classroom and during a public presentation in the auditorium. Marquette’s motto is “Being the Difference”. The University selects an alum who exemplifies this, with the purpose of encouraging others to do likewise and illustrating to students how to best live the motto. The highlight of the event was his evening speech entitled, “Being a Difference” given in the Alumni Memorial Union to approximately 200 guests including his fellow Sigma Phi Delta brothers, engineers from Milwaukee and the public. Guillaume also spoke to 100 construction management, engineering, business and communication students in Dr. Mark Federle’s classes. Federle is the Chairman of Marquette's Construction Engineering and Management division. Guillaume shared lunch with several students who travel to the New Orleans Ninth Ward each school break to volunteer with rebuild efforts. Guillaume was accompanied by his two sons, Rhaoul, Jr. and Randy who work at GOTECH, Bruce Dyson, Engineering Coordinator and Jeff Floyd, Chief Engineer. Rhaoul A. Guillaume, Sr. was recognized in the Spring 2011 edition of Marquette's Alumni Magazine. Posted on June 4, 2015 by Shannon Zeringue.